With cooler weather just around the corner, now is the time to start lining up your fall protective hair ideas that will help keep your tresses safe from the harsh elements. No matter what style, length, or texture of hair tickles your fancy, there is a protective style for you. Switching up your regular hair routine in an effort to maintain the health of your hair not only is smart, but also allows you to experiment and use your locks as an accessory. From tousled fab fros to channel your inner Chaka to luscious twisted up-dos fit for a queen, there are more than enough hair options to go around. We’ve compiled a list of some of Instagram’s best protective hairstyles and that will keep your do right in step with the season’s latest trends. 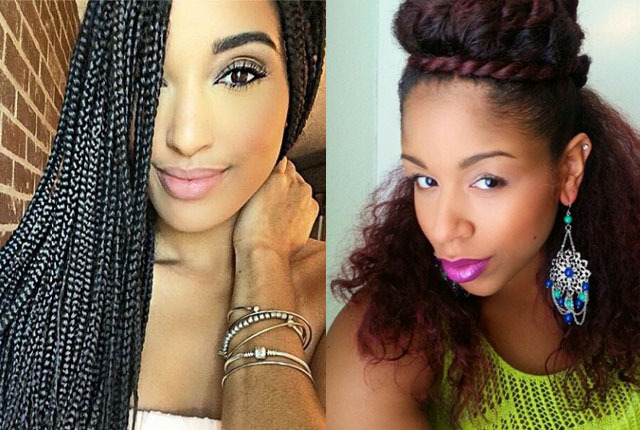 Read on to find out which protective hairstyles were made for you! Previous PostPrevious TIP DU JOUR TUESDAY: Thrifting 101 + My Haul!